Finally! I am getting to this post! 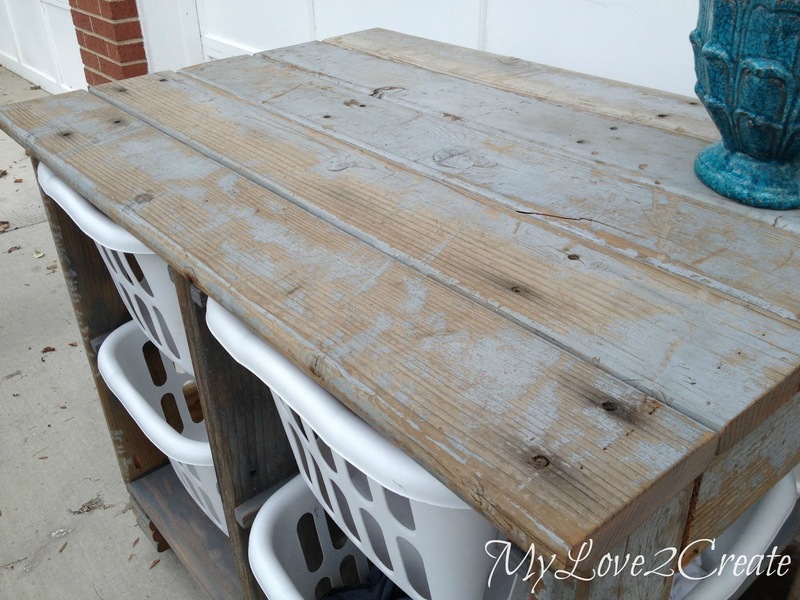 Last week I shared the DIY Upholstered Bench, and here is my other repurposed project for my sister's closet/laundry room makeover, An Old Deck Wood Laundry Crate. 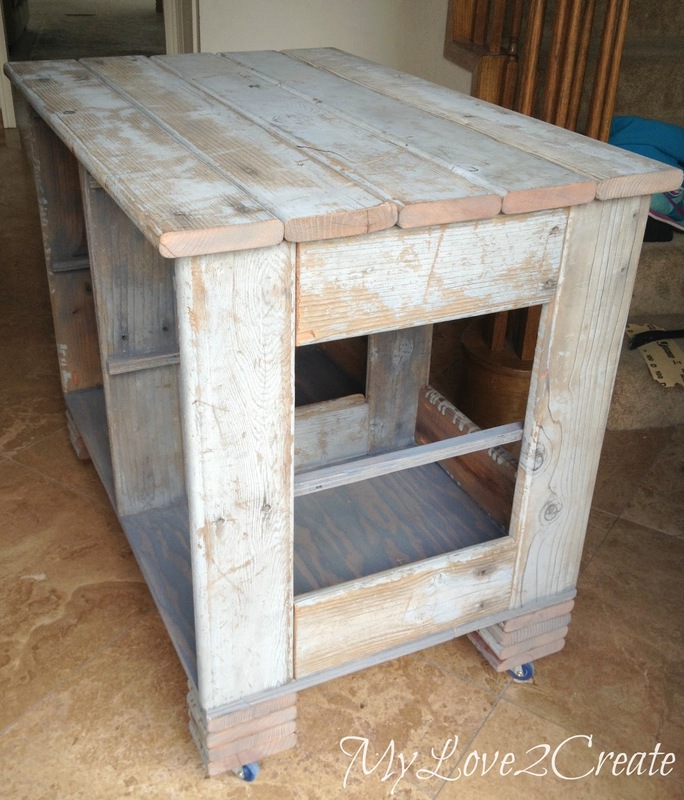 Isn't it super cute, rustic, and just fun?! I have always wanted one of these ever since I saw them on Ana White's site. 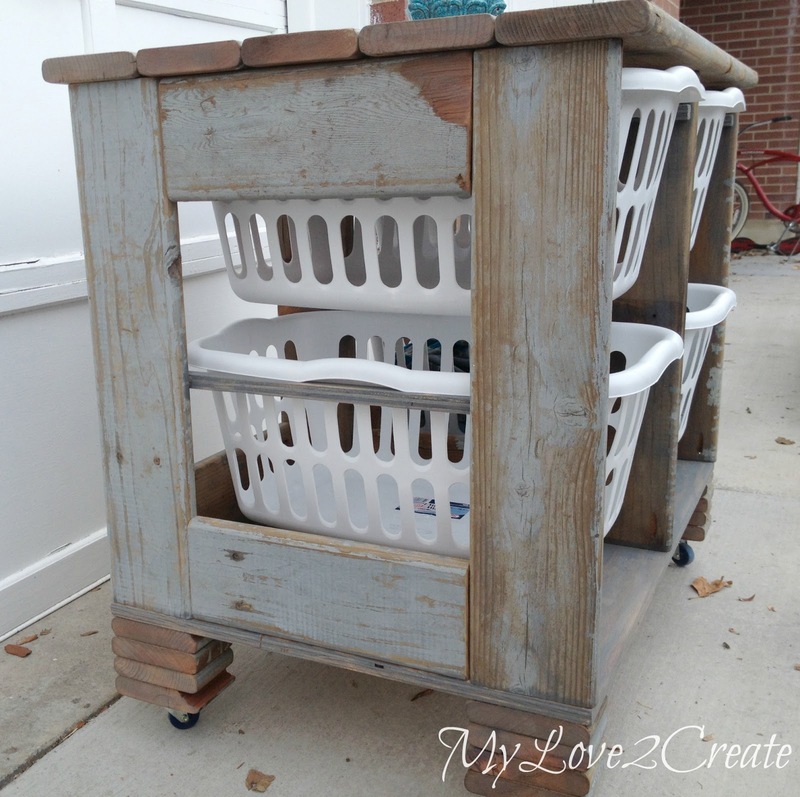 I modified my build from the Brook Laundry Basket Dresser. 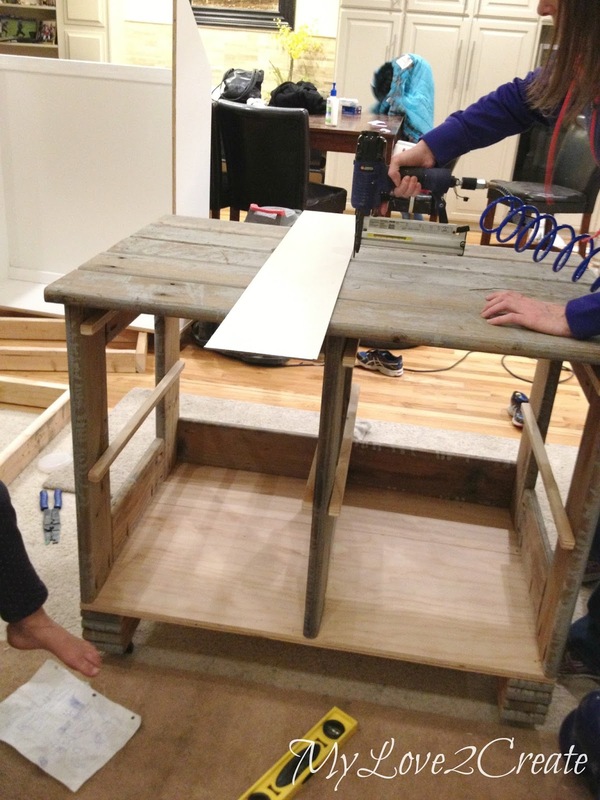 Since I did not have plywood, I was planning on using free wood off of the free section of KSL classifieds. 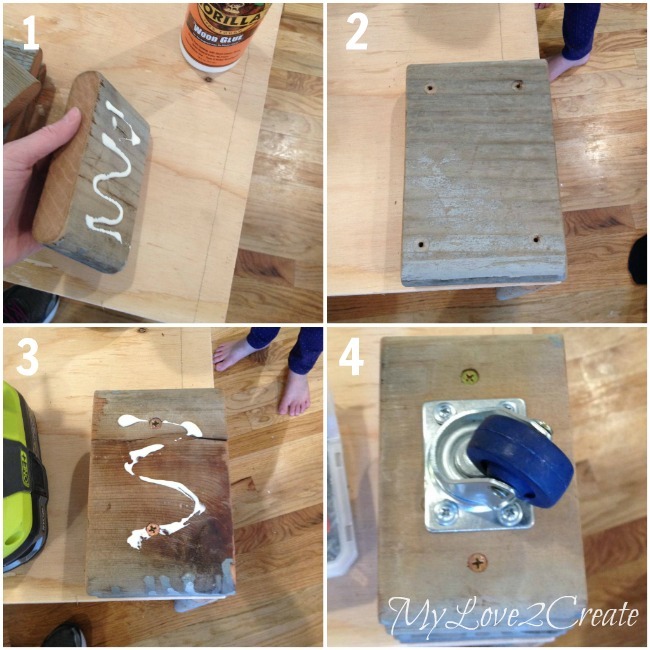 This was another project that I wanted to make for my sister's room, but we didn't have money in the budget for it. And when you don't have money you have to get creative! Here it is getting taken apart by your's truly. 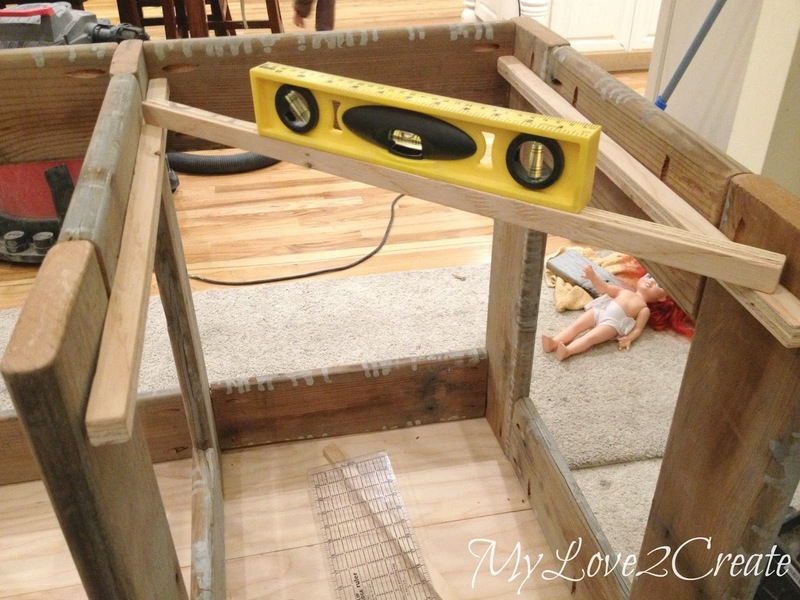 I actually used almost all the wood you see for this project, I am so glad I had enough. I decided to make three face frames. Two for the sides and one for the middle. Here they are ready to be put together. I cut to size, drilled my pocket holes, and sanded them nice and smooth. Ahhh, you don't get to see many pictures of me building, because I am usually alone when I build. Not today folks!! Lucky you! I clamped the pieces down and drilled the screws through my pocket holes, of course I didn't forget my gorilla glue. 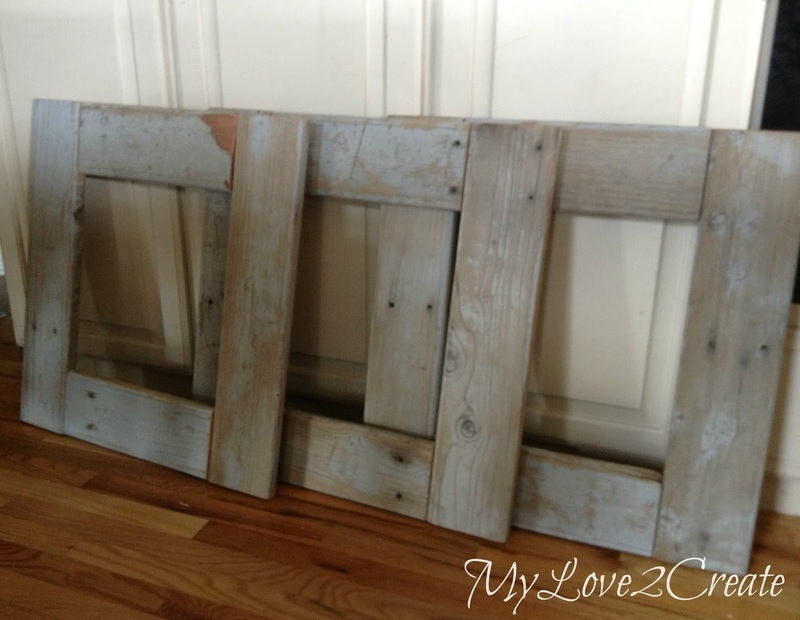 The face frames turned out so adorable...we were tempted to use them as picture frames and hang them on the wall! Don't you think they would look awesome that way? My sister helped hold it for me until I got a couple of screws in. Obviously I got talking or something because I didn't have any more pictures before this point. But it is easy to see, I added the two sides the same way as the middle, with pocket holes. Then I cut top and bottom support boards for the back of the dresser...or crate. I simply attached them with pocket holes as well. Look the laundry basket fits! Now for the drawer glides, or basket glides. I had the plywood for the closet built in's cut into 3 strips (as I already mentioned), what was left were these small little strips, they were perfect for my drawer glides. I just had to cut them to the right length. This shot also gives you a good view of the base so you can see the seam where I attached the plywood pieces together. 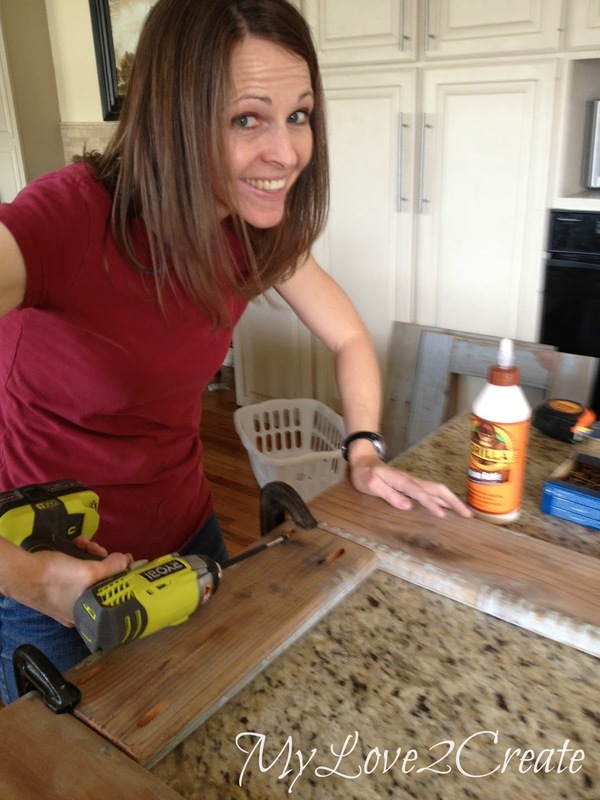 I glued and nailed on the drawer glides making sure they were level. 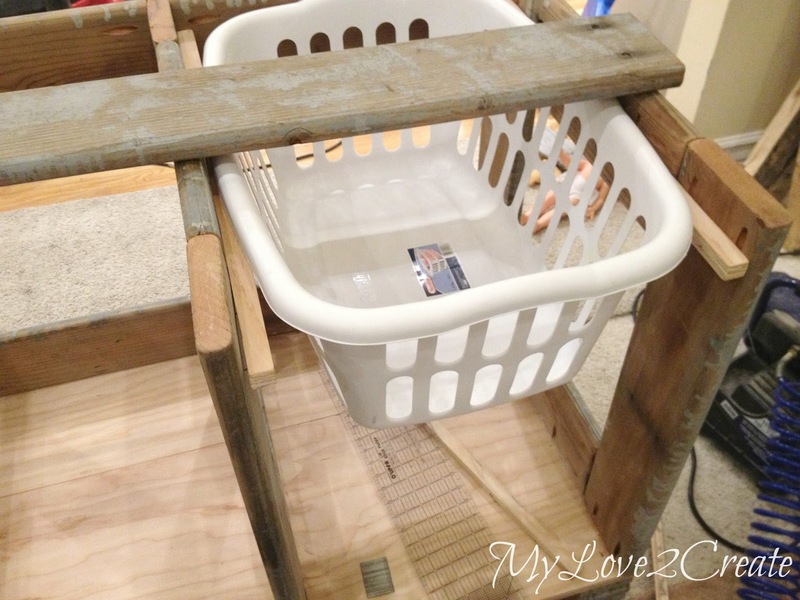 I threw a top board on to make sure it worked with the basket. It did. Sa-weet! Then I finished attaching all the other three drawer glides. 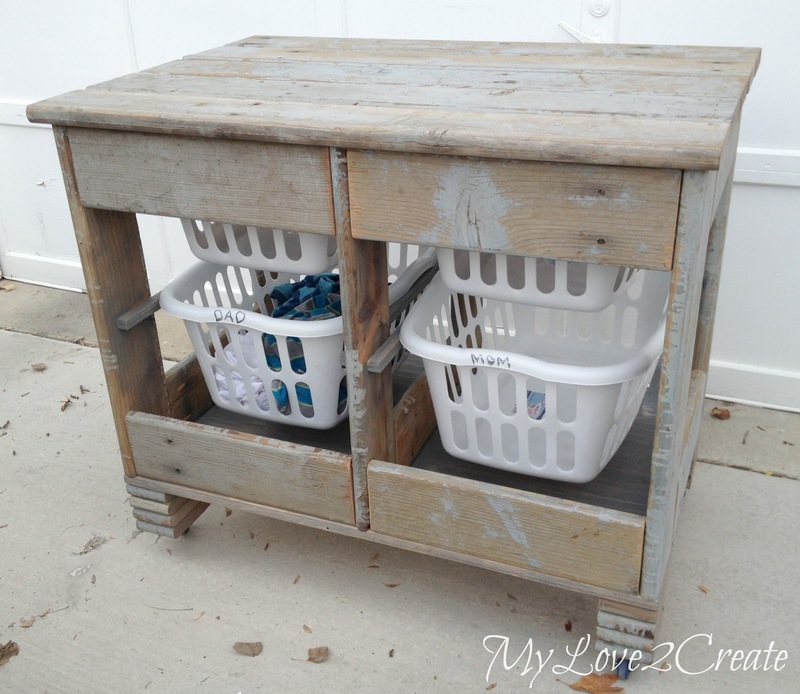 The laundry crate needed to be a little taller to make it easy for my sister to use as a folding table and we had no feet. But I did have a lot of small cut ends left over from the deck wood...I decided to cut them all the same and stack them to make cute feet! I started by gluing and screwing on each block one at a time. Once all four blocks were attached, I added the casters. These were only $1 each from Harbor Freight, totally on sale, score!! 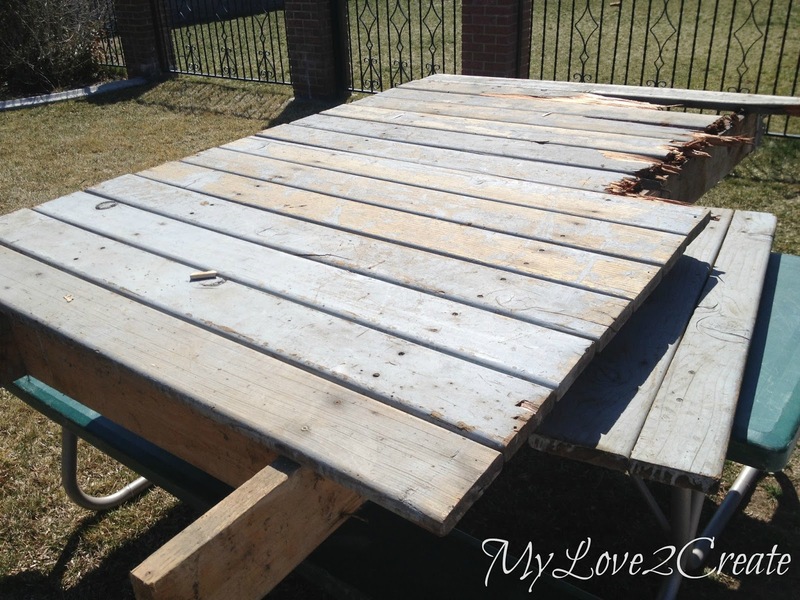 The only thing I had left to do was stain the plywood to "match" the rustic goodness of the deck wood. We loved it so much it couldn't be painted over! I remember seeing a color that might work, and it totally did, almost perfectly! 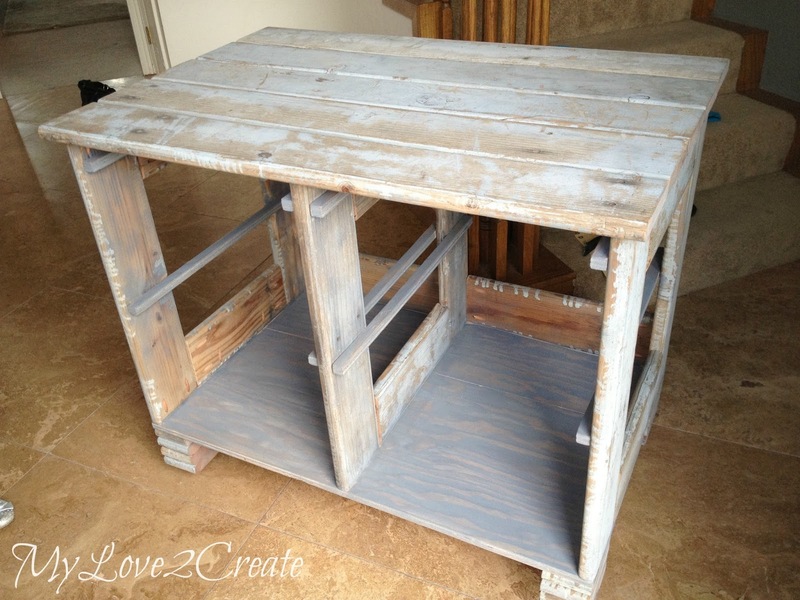 I used Rustoleum's Weathered Gray. It made the plywood blend in, and I think it unified the piece. The baskets work great, they slide in and out like bu-ttar. Here is a view from the back. The feet are one of my favorite parts! The top was sealed with three coats of poly to make it nice for using as a folding top, You won't be getting any snags on this baby, but it still looks totally rustic. I was very pleased with this project, and a little jealous, I mean when am I going to find cool wood like this again? Probably never. So it is a one of a kind and I LOVE it! Update: My sister said she has finished with all the last minute touches in the room, and will be sending me pictures tonight or tomorrow... you know what that means? Get ready for the reveal...it is coming!!! I can't wait! 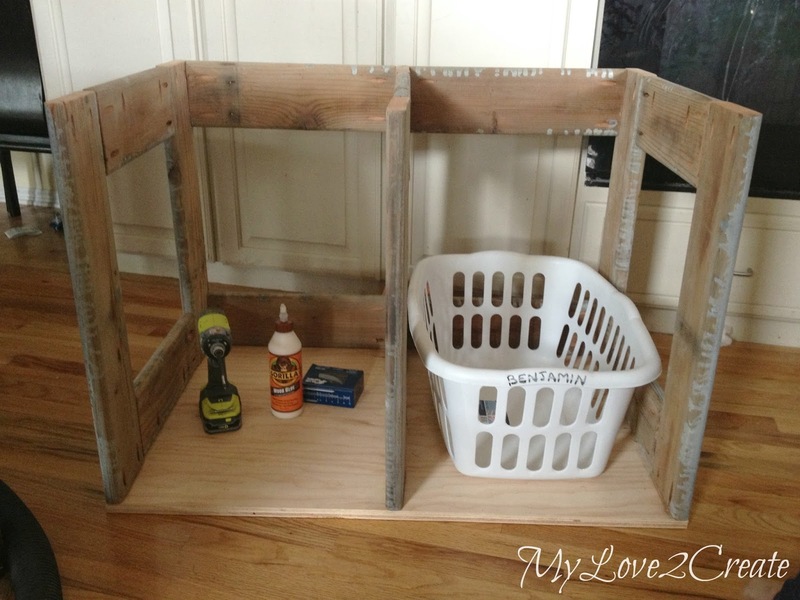 ***Update, The Closet/Laundry Rome Makeover is now posted, click over to see this laundry crate's new home! 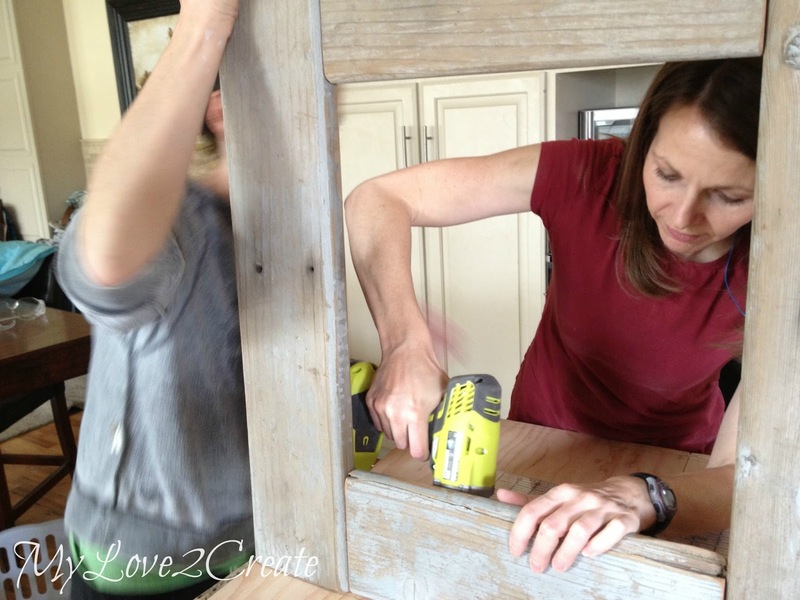 ***And check out how I built the Slanted Wall Built-in's with Hidden Storage. Great build! 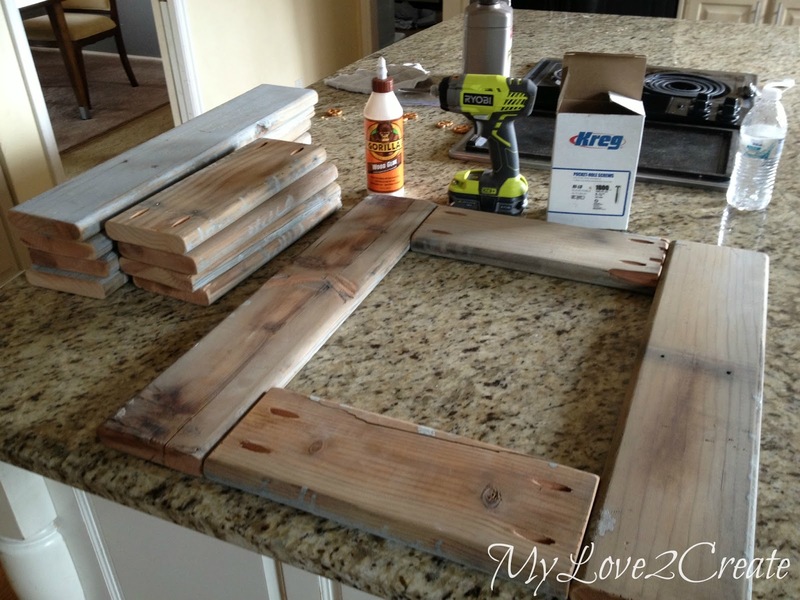 Fabulous job and I love that you used deck boards! Totally one of a kind and fabulous! WOW!!! Thank you for sharing! Mindi - you are seriously so talented! Wish I could rock the power tools like you do, lady. Love this. Pinning! 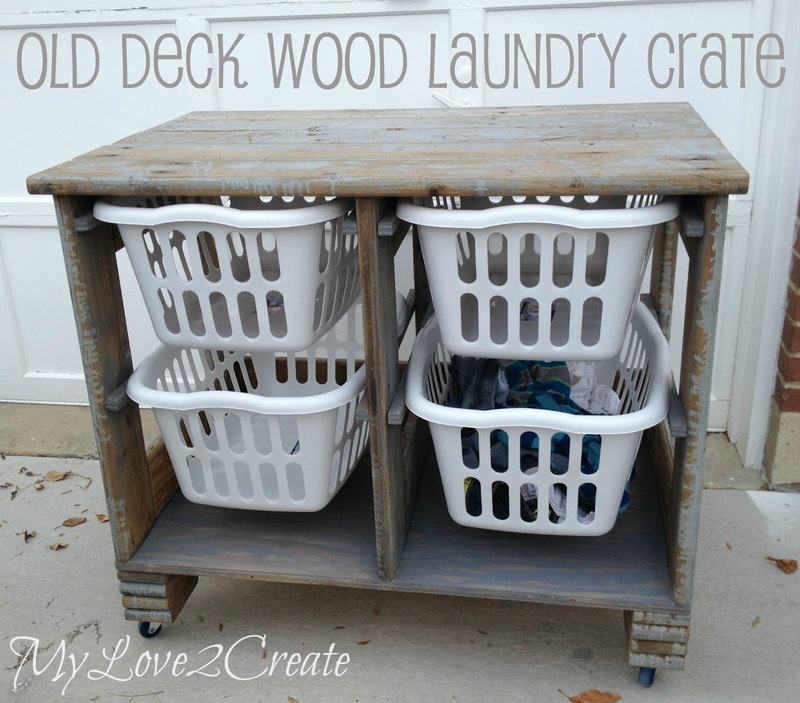 What a great way to recycle old wood! I love that the whole family is involved. 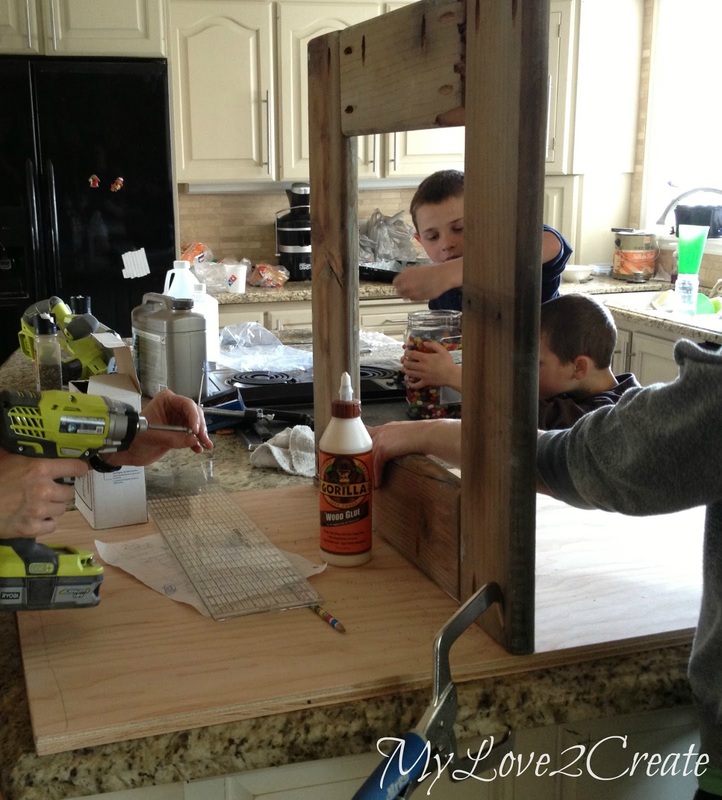 Your upholstered bench is such a great project too! Would love to make those! this is totally an awesome look! love it so much. Great job! Mindi - I am one of the hosts of the Super Saturday Link Party that you linked to with this incredible project. I loved it so much and shared it on my social media. Thanks so much for stopping by and I hope you come back every week and share your wonderful projects with us! I love the idea that you had here...it looks GREAT! It will be featured at my party on Monday. Mindi...this is amazing! Looks so beautiful - I just love it! You are so talented!! Thanks for linking to last weeks Whimsy Wednesday! I featured you in my roundup today...you can see the post here! I would love to have one of these. 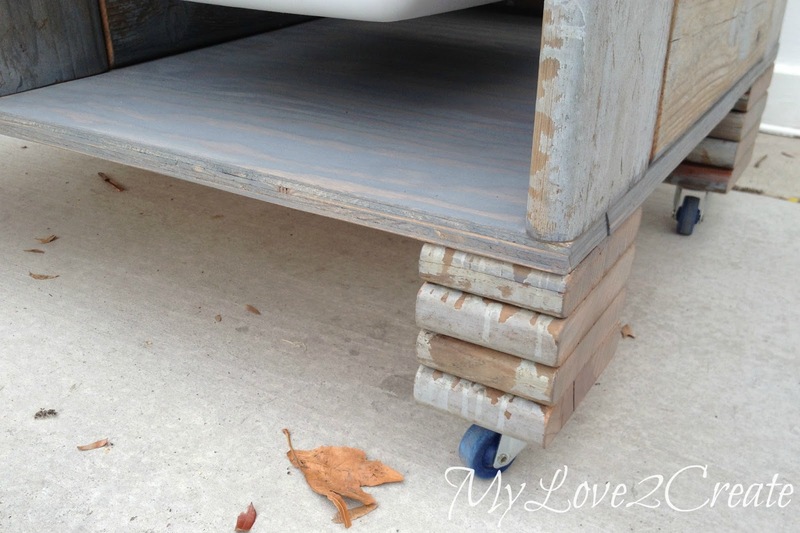 What a great space saver, plus a table to fold on! Wow! It looks so much harder to build then it actually is! Thanks for all the details! Awesome - I love it! Thanks so much for linking this up to the Friday Frenzy! OMG!!! I finally found someone that shows you step by step!!! Thank you so much I just sibscribed by email!!! Wow,you come up with really great ideas. I will be pining you. Looking forward to your other projects. So, cool! If that is your laundry room, I am jealous. :) Nice work. Great renovation.. I wonder how these ideas strikes to your mind. This is such a fantastic idea. I am absolutely in love with the look. And you can honestly make this a storage unit for anything. It would be great for kids' toys and to store other things on. It makes for a cute surface too. If it is on your deck, you could put a plant on top or candle. Nice Blog , This is what I exactly Looking for , Keep sharing more blog.